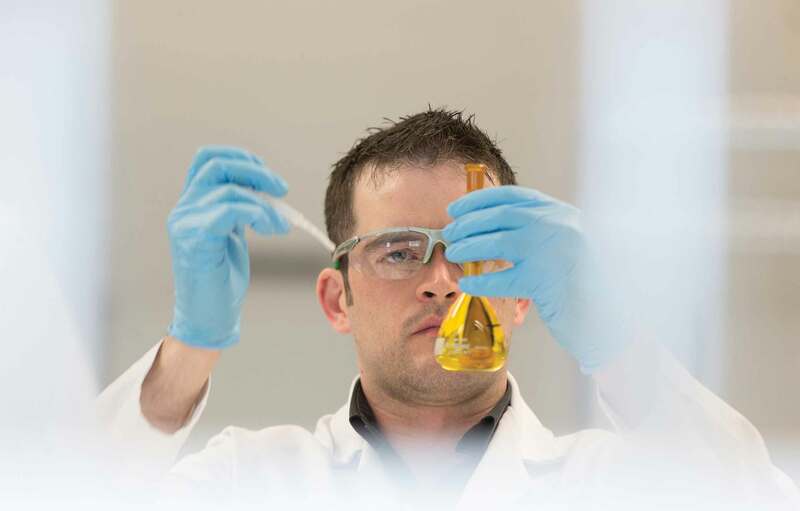 Allergan’s R&D engine is built on novel compounds in specialty and primary care markets. Allergan’s strategically focused R&D engine is built on novel compounds in specialty and primary care markets where there is significant unmet medical need, and fueled by an investment of approximately $1.7 billion in 2015. With an innovative product development portfolio exceeding 20 near-term projects and a world-class generics pipeline, which continues to hold an industry-leading position in First-to-File opportunities in the U.S. and more than 1,000 marketing authorizations globally, we are uniquely positioned within our industry to ensure our development activities support sustainable long-term organic growth. Our R&D strategy is focused on continuing to build this pipeline through organic development as well as partnerships, collaborations and in-licensing. Biosimilars represent one of the pillars of Allergan’s strategy to drive long-term growth. We are committed to building a leadership position in this emerging global market. Our biosimilar product pipeline currently consists of four oncology products being developed in collaboration with Amgen. These products represent some of the fastest-growing pharmaceutical products in the world with peak innovator sales topping $20 billion.